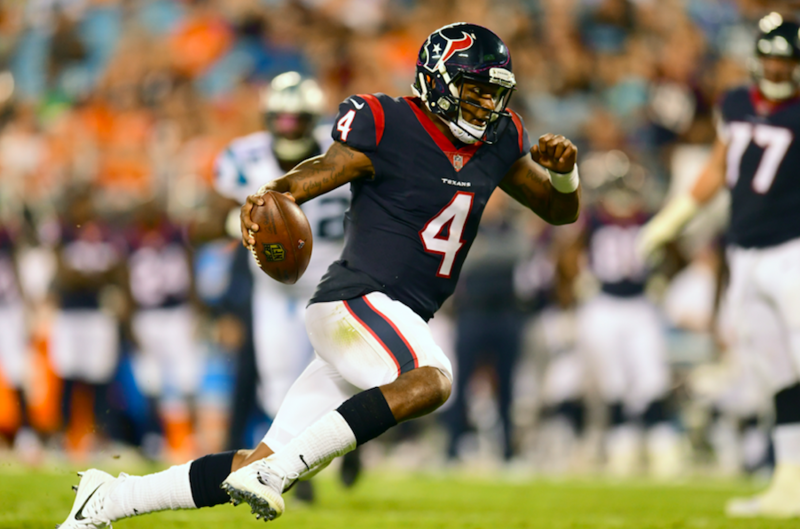 Houston Texans rookie quarterback Deshaun Watson has been impressive on the field in his first 2 NFL starts, leading his team to victory at Cincinnati and almost beating the defending Super Bowl Champion New England Patriots on the road, before losing on a last-second touchdown pass from quarterback Tom Brady. But it is what Watson did off the field this week that has so many people impressed with his leadership. 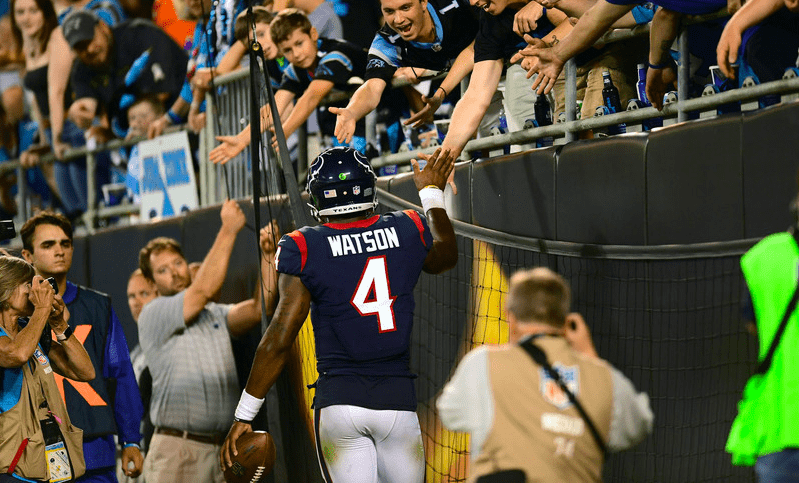 On Wednesday, Watson donated his first game check to three women who work in the cafeteria of NRG Stadium, where the Texans play their home games. Denisse Benavides, Isabel Sanchez and Maria Rincon were the recipients of Watson’s generosity, helping them to recover from the flood damage caused by Hurricane Harvery last month. Click below to watch the video of Watson presenting his check to the ladies. Watson, whose rookie base salary for the season is $465,000, and weekly game check is $27,300, donated three checks to the ladies in the amount of $9,100. 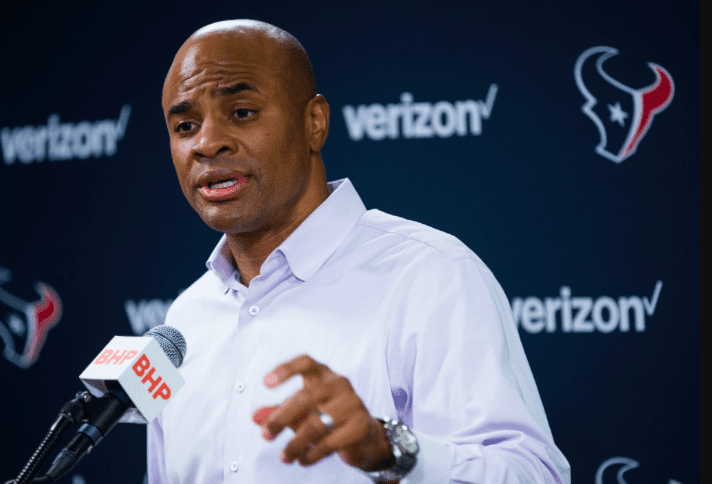 The Texans return home on Sunday to face the Titans at NRG Stadium at 1pm ET.